Fashional Sushi Conveyor Belt transmission system uses a sealed design, conveyor chain structure rigorous, smooth operation, the noise can not be heard, wear-resistant chip combination sprocket, extending the life of Environmental Sushi Conveyor Belt. Note: General foreign Rotary Sushi Equipment without faucet, if necessary, we can provide. 1, Automation Rotary Sushi Conveyor Belt motor and control components using imported products. 2, All the appearance of materials such as drawing stainless steel, design and layout are very flexible. 3, the conventional conveyor belt width is 235mm, the conveyor belt length can be designed according to customer requirements. 1, Monorail sushi conveyor belt,rotary Sushi Equipment can be based on the layout of the store and customer design any shape. 2,Rotary Equipment dining table dresses can also be based on store layout or customer requirements design a variety of styles. 3, Dining table decoration materials can have a variety of material selection, such as artificial stone, marble, hardwood, under normal circumstances, we recommend sushi conveyor equipment to make artificial stone countertops. 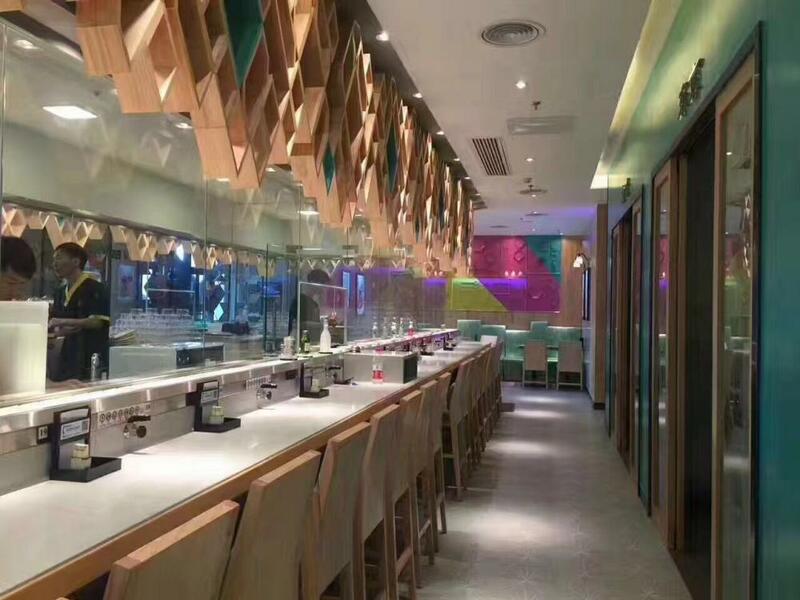 4, Decorative materials, marble skirting, fire board, acrylic film, translucent stone, aluminum panels, etc., customers can commission us to install or choose to decorate in the local. we have the perfect after-sales service and technical support. Look forward to your cooperation! Looking for ideal Rotary Sushi Equipment Manufacturer & supplier ? We have a wide selection at great prices to help you get creative. All the Sushi Bar Conveyor Belt are quality guaranteed. 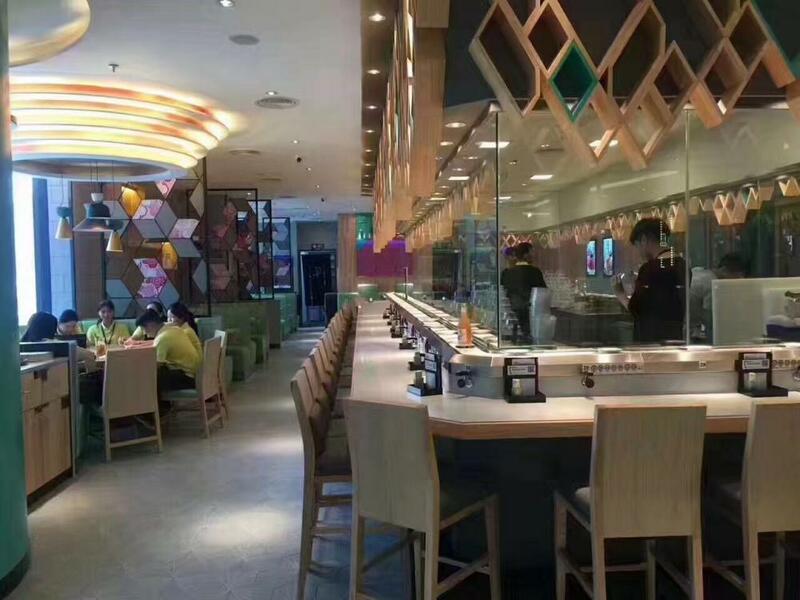 We are China Origin Factory of Conveyor Belt Sushi Restaurant. If you have any question, please feel free to contact us.